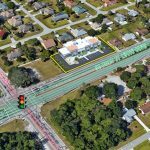 Great corner office property located within the well-located Willoughby Business Park in Stuart, FL. Interior features include: a modern finished waiting room, private office, 2 large all-purpose rooms, restroom, and a large storage room with a 15’ roll-up garage door located in the rear of the building. Currently leased by a children’s tutoring school; will be made available by July 31st, 2019. 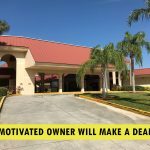 MOTIVATED OWNER WILL MAKE A DEAL! Great opportunity to lease a 1,560 square-foot office condo at the Hillmoor Professional Plaza. Unit is built out for medical and consists of: 3 exam rooms with sinks, 2 consultation rooms, 1 large conference room, 1 bathroom, 1 kitchen area and 1 waiting room lobby. Within close proximity to the St. Lucie Medical Center and other healthcare related facilities. Only minutes away from the new roadway construction that will be connecting Crosstown Pkwy to US-Hwy 1. 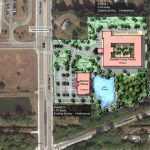 Exceptional development opportunity of the future site of St. Lucie’s newest planned assisted living facility and medical office park centrally located in Fort Pierce, FL. The development has permit-ready construction plans and ready for county review. There is a strong regional need for senior housing, making this a beneficial opportunity for the area. Site is designed according to the 2009 HUD guidelines, features a 115,200 sf three-story building that will include 80 one-bedroom apartments, 8 studios, and 8 two-bedroom apartments at an average of 630 sf. Additional there will be a 10,850 sf medical office building, and other amenities such as a lake and walking park area. 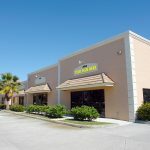 Two 800 sf units available for lease in the Pelican Plaza located on S Federal Highway. One unit features a total of 4 offices; other unit features 3 offices plus 2 entry areas, 2 restrooms, and a kitchen area. Great exposure to the main road; surrounded by many National tenants which include: Enterprise Rent a Car, Auto Zone, Applebee’s, SunTrust, and others. Less than three miles away from the Crosstown Parkway Extension projected to be completed by late 2019. 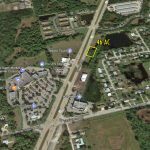 Excellent development opportunity in one of the few remaining lots on Port St. Lucie Blvd. The site consists of a 0.69 acre lot. It has high visibility and great frontage plus additional traffic flow coming from Floresta Dr. and Florida’s Turnpike. Proposed site plans would allow for a 4,550 sf building ideal as either professional offices or retail. 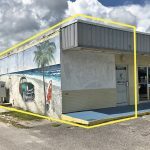 Great owner/user opportunity of a unique retail / office property with living space located in the seaside town of Jensen Beach. Site features two offices, a built out kitchen, and a retail section occupied by a smoke shop on a month-to-month basis. Building has prime frontage, two-way accessibility, a monument sign, and a small shed for extra storage. Surrounded by National tenants which include: Family Dollar, Wendy’s, Walgreens, CVS, and many others. Exceptional opportunity to own a warehouse unit in the future ready to built site of Lakeview Industrial Park. A total of 35 units will be available for storage of RVs, cars, boats, small businesses, and more! Site will features 14’ x 12’ roll-up doors, ample parking, and a mix of office and warehouse space. 7 vacant move-in units available for lease in the Commercial Office park building located in Fort Pierce FL . 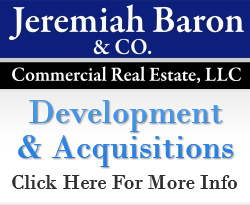 Some vacancies can be combined into a contiguous 2,000 – 3,000 sf units. Great property features include a monument sign, ample street level parking, and basement space. Located within close proximity to the Causeway and easily accessible from US Highway 1. Great owner/user opportunity of a move-in ready double unit office condo located in the Willoughby Business Park. The 1st floor unit comes fully furnished and features two private offices, a large open work area, conference room, restrooms, and a break room. Excellent exposure on Willoughby Blvd. and easy access to the I-95 and Florida’s Turnpike. Exceptionally rare 30 acre property with extra yard space located on the SW corner of Enterprise Road and Bell Avenue in Fort Pierce, FL. Lease option consists of four separate buildings with option to divide*, plus outdoor storage. 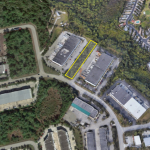 Site features truck well and dock-high loading, fenced lot, on-site property management, and yard access. Located near port and major highways! 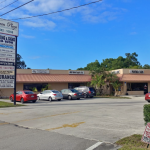 Great opportunity to lease this high exposure end unit near the seaside area of Jensen Beach. Building has been built out with 3 offices, a conference room, kitchenette, 2 ADA compliant restrooms, and two large storage rooms. There is A/C throughout, and features a garage and backyard space. Great turnkey professional office suites located in the Hillmoor Professional Plaza. Site features: waiting area, reception desk, exam rooms with sinks, private offices, and a kitchen. 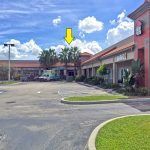 Perfect owner/user opportunity of a medical office suite located just across from the Emergency entrance to the Lawnwood Regional Hospital in the Lawnwood Professional Center. 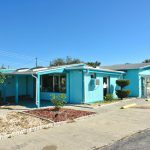 Property features a reception area and business office, 4 exam rooms with sinks, file room, Doctor’s office with bathroom and shower, covered patient drop-off, and signage. 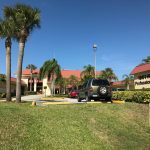 Great location with high traffic volume and surrounded by many other medical practices in the Fort Pierce area. Excellent purchase opportunity!! Medical building located in the White City Professional Park in Fort Pierce. The Park is well-maintained and has a wide variety of medical uses in it. The building is 100% leased with Grade A tenants!! Site is built out for medical and features multiple exam rooms, procedure rooms, large break room, five carpeted business offices, and a large waiting and reception area. This is perfect deal for a owner/user. The mortgage/fees can be paid with the rental income. Own a brand new warehouse unit in the fast growing Industrial Park at Avonlea. Construction will begin by January 2019, and it will consist of a 1,350 sf unit, a 2,220 sf middle unit, and a 2,200 sf end unit with a 1,000 sf fenced lot with possible overhang. Features include 16’ x 14’ roll up doors, 20’ ceilings, and restrooms. Great opportunity to own a 1,560 square-foot office condo at the Hillmoor Professional Plaza. Site consists of: 3 exam rooms with sinks, 2 consultation rooms, 1 large conference room, 1 bathroom, 1 kitchen area and 1 waiting room lobby. Owner/user property comes fully furnished if new owner is interested. Ideal as a medical office, law firm, title agency, and many other professional uses. 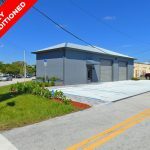 Excellent 1st floor build-to-suit office at the Fogal Professional Building in the retail/office district of Fort Pierce. This 5,000 sf space can be divided into (2) 2,500 sf spaces. It is currently a shell space, in which the owner is willing to build out. Property features a monument sign, two access points, and great visibility from US-1. Surrounded by a variety of businesses such as Chase Bank, McDonald’s, Dunkin Donuts, Publix Supermarket, and others. 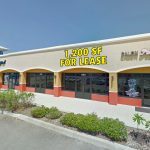 Excellent opportunity to lease 5 available spaces perfect for retail/ office use on NE Dixie Hwy in the heart of Jensen Beach. The 2,280 sf space is currently built out for a church, in addition to (3) 400 square foot spaces which can be combined plus (1) 1,200 sf space. In close proximity to the Jensen Beach Causeway; surrounded by dense residential neighborhoods. The zoning allows for professional and business offices in addition to retail use. Close to a few surrounding businesses such as Publix Supermarket, Mulligan’s Beach House, The Mansion At Tuckahoe, Jensen Beach Bowl and more! 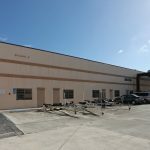 A total of (4) spaces now available at an Industrial Business Park in Stuart. 2,000 sf end cap office features 3 bay doors, with a completely remodeled interior. 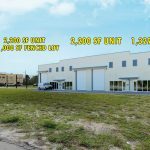 8,400 sf building that can be divided into two units of 4,200 sf; one side has warehouse space with small office spaces (plus exterior canopy) while the other is open warehouse space. 2,000 sf in-line warehouse unit with a completely remodeled interior. Plenty of parking and easily accessible via signalized intersection on SE Federal Highway. 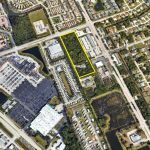 South end cap space available at a storefront strip center in Hobe Sound. Space features a waiting room, two offices, a kitchenette, bathroom and a utility sink. Excellent space ideal as a professional or business offices, retail store, etc. 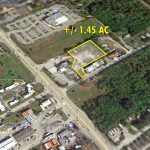 Great freestanding building located in the historical area of Fort Pierce. Building is completely vacant, has great potential for industrial use or small warehousing as it features an open floor plan. Only some work needed to suit the right tenant! Exceptional exposure to US-1, and within close proximity to restaurants, shops, and marinas. Excellent development opportunity! 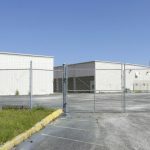 Commercial land in the industrial corridor of St. Lucie West has great build out potential for a brand new warehouse, manufacturing business, or other uses under the respective zoning. Easy accessibility to I-95. SELLING QUICK! Great opportunity to purchase industrial land lots in the Industrial Park at Avonlea. Bids from contractors are under review. Construction taking place soon! Located on NE Savannah Road, easily accessible from US Highway 1. Potential redevelopment project! 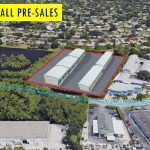 This site features a combined total of 3.39 AC, with a warehouse industrial building on 1.13 AC and a home with detached garage on 2.26 AC. Site has potential to be redeveloped into retail, office, storage, or other uses under GC zoning. 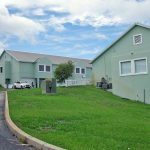 Exceptional brand new building in the mixed commercial business corridor of Stuart. Newly constructed CBS property features 14 ft. ceilings, 3 bay doors, insulated block walls, LED lighting, Air Conditioned throughout, and a metal roof. 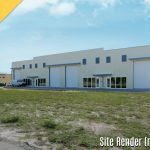 Excellent site features a mix of office/retail and warehouse, perfect for light distribution, storage, and more. This deal is for 3 separate homes at $425,000 each. Excellent large family homes available for purchase (all vacant) All three homes features 8 bed and 8 baths and adequate yard space. 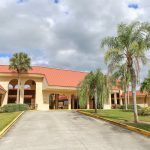 Located at the very end of the street, quick access to the Indian River State College, the Lawnwood Regional Medical Center, Walmart Supercenter and just a short distance from I-95 and US-1. Can be utilized as an equipment sale and rental services, auto related services, and more under CG Zoning. Site has accessibility from Dickson Drive and US Highway 1. The Portofino Plaza is located in the fast growing, contemporary Sawgrass Lakes community and features a mixture of retail, office and restaurant tenants. The Plaza is located on the intersection of SW Tulip Blvd. and SW Darwin Blvd. and currently has a 7,333 sf space located in the contemporary Portofino Plaza. The site has been built out as a church but has capability to be transformed for other uses. Space has classroom and office space, and accommodates 210 seats. Neighboring tenants include: Shell gas station and Dunkin’ Donuts, and it is anchored by Kiddie Academy Learning Center, and other restaurants and retailers. Excellent purchase opportunity with redevelopment potential! This vacant 5,869 sf building (includes a 315 sf office) on a spacious 3.03 AC lot. Formerly used as a used auto dealer, this site is on a hard corner, and could very well be converted into a gas/service station. Great frontage to US-1! Just between Farmers Market Road and Dickson Drive. 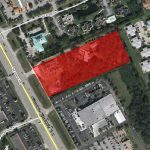 This 6.67 acres of developable land located in a General Commercial Zoning area that allows a wide variety of uses. Located just .3 miles East of US-1 on Jennings Road which is in the heart of Port St. Lucie. There is a cell tower on site with its own easement. 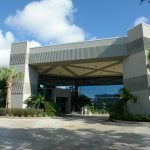 Located in the prime business district of Port St. Lucie. 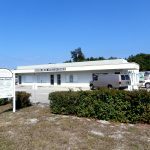 Great opportunity to lease a medical space located in White City Professional Park in Fort Pierce. Perfect for medical or administrative business use. Space features six large exam rooms, two minor procedure rooms, a large break room, five carpeted business offices, and a large waiting and check-in/out area. Owner will entertain sale offers. Move-in ready office space in the Marques Key at Sugarhill Office Building in Jensen Beach. Site features beautiful Key West style exterior, excellent signage, and ample parking. The suite features 4 offices, a kitchenette, and restrooms. Ideal for a professional business such as a title company, insurance/travel agency, consulting, and others. Don’t miss out on this rare find! Excellent investment opportunity! All three buildings are under a single international NNN tenant. Owner is responsible for roofing structure. Main building features loading docks and two-story office/manufacturing space. Located on SE Gran Park Way and SE Cheri Court, easily accessible from SE Federal Highway. Excellent warehouse building located in the Industrial Park at Avonlea. Property features open floor warehouse space with a 200 SF office area. Currently occupied with a long term lease in place. Buyer has the option to own, occupy, or renew lease to the current tenants. Located on Savannah Road, easily accessible from NW Federal Highway. Shopping Plaza currently has 600 sf and 700 sf space available perfect for office or retail uses. Located next to the St. Lucie Lanes Bowling Alley, with high exposure to US-1. Great storage space!! Open warehouse storage provides covered outdoor storage plus a fenced yard to park vehicles and other equipment. Located on US-1 just behind Grace Family Church. The Portofino Plaza is located in the fast growing, contemporary Sawgrass Lakes community and features a mixture of retail, office and restaurant tenants. The Plaza is located on the intersection of SW Tulip Blvd. and SW Darwin Blvd. and currently has a 4,900 SF available for lease. Space was formerly occupied by a pediatric center; making it ideal for a medical practice or other related business. Neighboring tenants include: Shell gas station and Dunkin’ Donuts, and it is anchored by Kiddie Academy Learning Center, and other restaurants and retailers. Excellent purchase opportunity!! 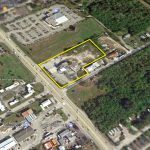 Developable 0.46 acre parcel located in the growing area of Stuart. Ideally suited for a professional office or other commercial business. In close proximity to the Publix-anchored shopping center, and just a few miles away from I-95 and US-1.